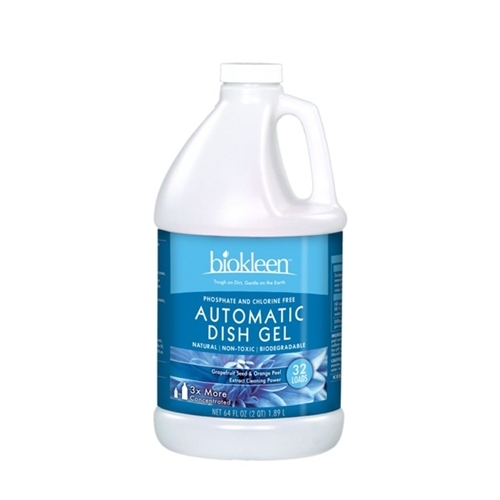 Our Automatic Dish Gel gets off tough baked-on-food and grease without the use of toxic chemicals. Dishes, glassware, and flatware come out spotless. Free of chemical taste and residue. INGREDIENTS: Readily biodegradable non-ionic surfactants, orange peel extract, natural anti-corrosive agents, grapefruit seed extract, sodium citrate, soda ash, non-animal derived enzymes, xanthan gum, low pH silicate, less than .2% enronmentally friendly polymer, filtered water.